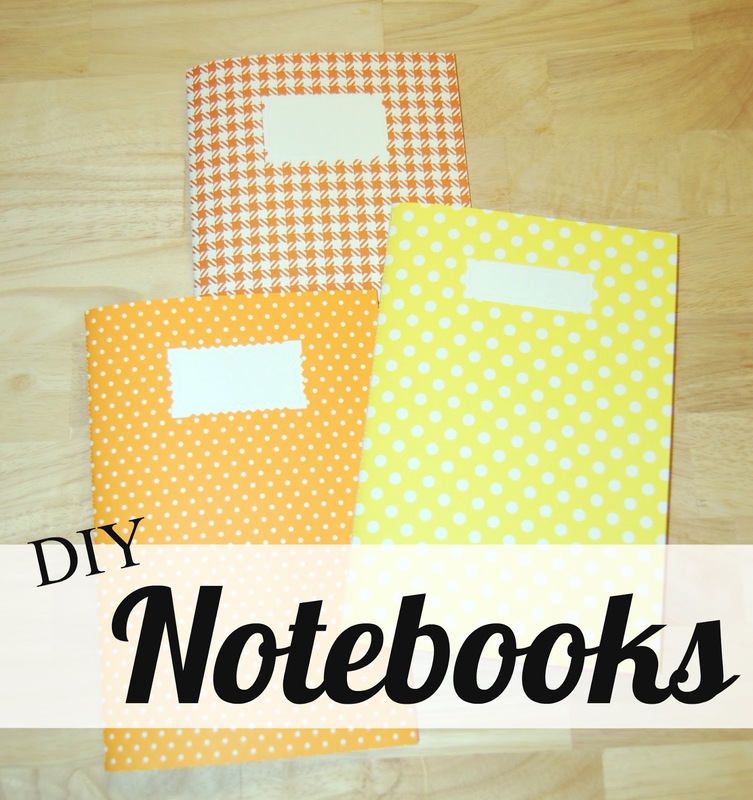 I am an avid journal keeper and list maker so it is probably no surprise to you that I love a good notebook. A few years ago I started making these little journals and notebooks. I actually sold them on Etsy for awhile but just didn't keep up with it. I decided why not just show you how to make them here. All you need is paper, a cutting board and a sewing machine. Everything I always have on hand. Of course if you don't have a sewing machine I am sure you could hand sew the binding. These instructions are for a 9x6 inch journal. Step 1) Cut your cover to 12 x 9. Make sure to use heavy cardstock so it will hold up. Step 3) Take plain white printer paper and fold in half. Step 4) Stack the plain white folded papers inside each other. I usually keep mine to about 10 pieces of paper making the notebook a total of 20 pages. Step 6) Sew down the fold in the middle to create the binding. Step 7) Place a a label on the front cover.